BLC_SITE_MAP_CFG SiteMapConfiguration drives the building of the SiteMap. It contains general properties that drive the creation of the SiteMap such as directory paths, etc. 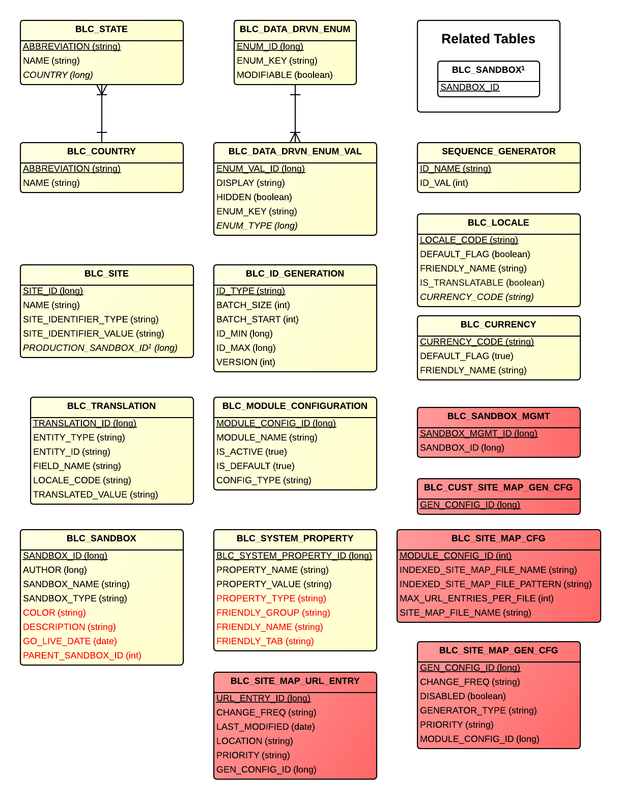 BLC_SITE_MAP_GEN_CFG SiteMapGeneratorConfiguration URL tag generation controlled by this configuration. See javadocs for more details. BLC_SITE_MAP_URL_ENTRY SiteMapUrlEntry Represents a SiteMap URL Entry.